I would have posted sooner but I have been so busy checking things off my 'to-do' list. Just kidding, I wish that was true though. Last week was just sort of a blur. I know there was some serious teething action going on (molars - agh! ), some desperately needed yard work that finally got done, err, I mean 'started', and a wee bit of crafting but other than that I'm not sure how I filled the time. One thing I did do was put together a little tutorial for favecraftsblog. They invited me to contribute something which I thought was so kind. So, after my first project failed miserably and I spent a day or so cursing and moping, I came up with this one. 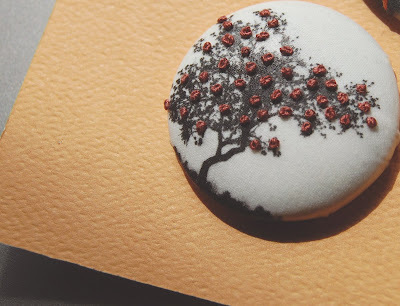 I thought is was a cute idea for a little Mother's Day gift and it seemed easy enough for anyone to try. 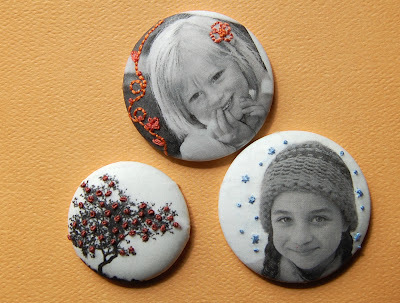 It's the tried and true fabric button magnets (again, Corinne?? YES, again!) but I used inkjet image transfer paper on the fabric. I also added a bit of embroidered embellishing just for fun but I think it would still be a fun project even without that. I would love to play around with some photo editing and different fabric choices just to see how they turn out but haven't had a chance just yet. It's on the 'to-do' list. 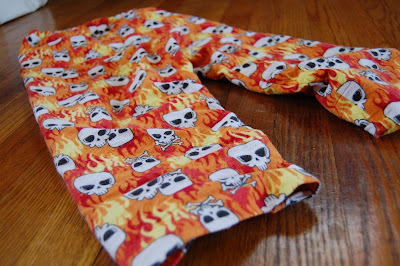 I also whipped up some pj's for Peter using one of my all time favorite patterns. I think this is set number 5 that I have made for Peter and by now I don't even need the instructions. This pattern is so easy and quick. 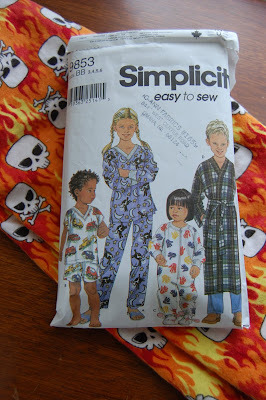 I have only made the regular pajamas although the pattern includes instructions for some zip-up footie pj's and a robe. I always use snuggle flannel from JoAnns because it comes in so many cute patterns and it's on sale for less than $3 a yard just about once a season it seems. And finally I want to just add a little note about my elephant pattern. Check this out! Sarah over at My Spare Time made this adorable birth record - didn't she do a great job?? I was so thrilled to see that little elephant out there in blogland, what fun! In my next post I just have to share some things on my "I want to make this!" list. I have seen so many awesome tutorials out there lately and I just can't keep them to myself. Off to compile my list - check back soon! I love the tree and how it turned out. Makes me want to jump on board and make some, but I'd have to go on a shopping trip first. I *love* the buttons!! What a fantastic idea -- I'm storing it away in my crafting projects bookmarks :).